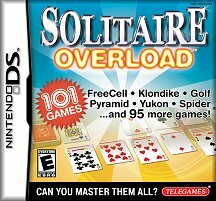 Hands-on preview at IGN.com - "...we can see this being a big hit with the casual gaming crowd"
"Impressive collection that plays very well with the Nintendo DS touch screen"
"It's an excellent near endless single player experience"
"Solitaire is like Tetris: a timeless classic that anyone and everyone can enjoy. Too many games for one brain? 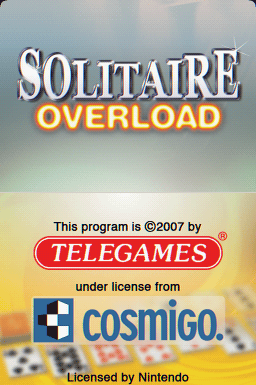 Telegames, Inc. has again teamed with Cosmigo, the developers of Ultimate Card Games™, to create the most comprehensive and feature-rich compilation of Solitaire games ever released for a portable gaming system. 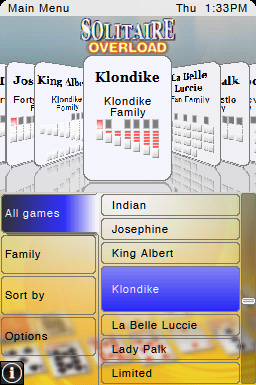 > 101 unique versions - all from your favorite families of Solitaire games like Klondike, FreeCell, Spider, Baker’s Dozen, Yukon, Beleaguered Castle, Forty Thieves, Canfield, and many others. 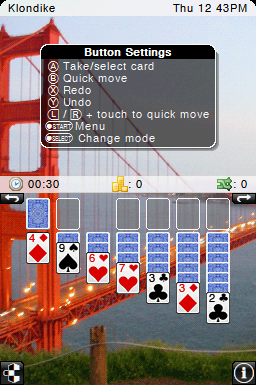 > iPhone™- style menu manipulation and selection using your finger, stylus, or control pad. 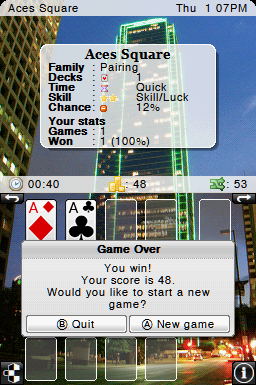 All card games are played on the Touch Screen using your finger, stylus, or control pad. 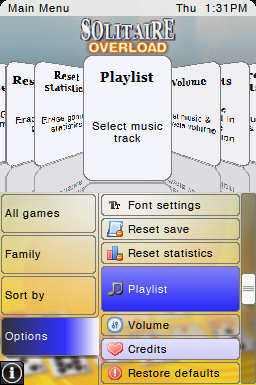 > Sort and select games alphabetically, by family, by time, by skill, by chance, by times played, or by times won. 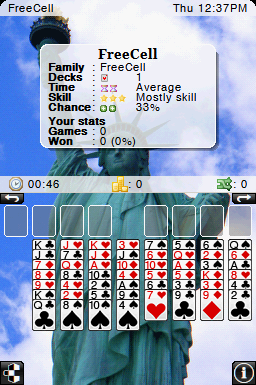 > Get detailed information on each version like number of decks, time estimate, skill required, and chance of winning. > Select your choice of background from dozens of cool pictures and gradients. 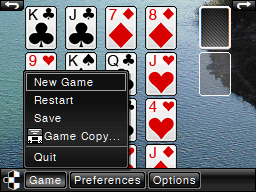 > Select your favorite card decks to use. > Over 40 minutes of original sound tracks. Edit the playlist to only hear what you want to hear. 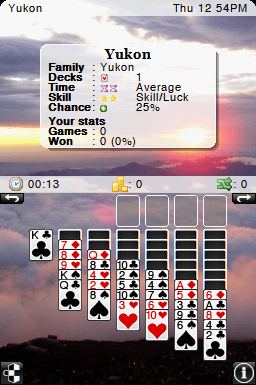 > Automatically tracks your stats for number of games played and number of times won. 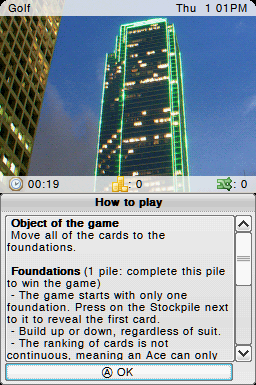 > On-screen "How to play" instructions and button actions. 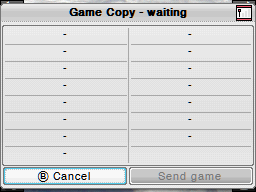 > "Game Copy" feature - wirelessly download any game to another DS for them to play on their own. It’s even easier than sharing music files…and it’s FREE! Buy it now at Amazon, Walmart, eBay, or TelegamesDirect.